Who owns the customer ? Again and again I come across remarks about the fight for “who owns the customer”. Especially in the telecommunications industry there is a lengthy debate about this with regards to telecommunication operators, device manufacturers, Internet companies, content owners. The second point is that if your business is based on “customer ownership” it might disappear pretty fast. The immediate reaction in the operator community was an uproar, because of the threat to loose “ownership” of the customer. 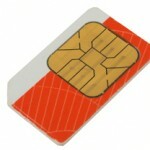 Currently operators spend large amount of money (of which the management and distribution of the physical SIM cards is only one part) to acquire new customers. This obviously only works if the customer stays with the operator for some time so the initial costs can be refinanced by service charges. That is also why churn (i.e. loosing customer to the competition) is considered to be a bad thing. But what if you re-define the operations to streamline the acquisition of new customers. In saturated markets, i.e. with limited number of additional customers, churn usually works in all directions. You loose some customers and you gain some customers (from your competition). If you could make acquiring new customers more effective than your competition, you could immediately create a business advantage. So don’t try to own the customer, get the permission to serve them and serve them more efficiently. Now the GSMA (the organisation of telecommunication operators) seems to have taken up initiative to work on a SoftSIM (or embeddedSIM) standard. However, the officially stated driver is the increasing number of connected devices.